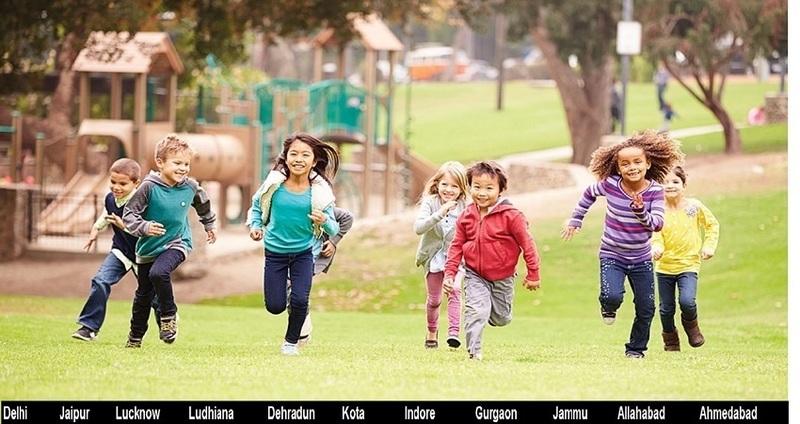 Prominent & Leading Manufacturer from Noida, we offer children multi activity play area, multi activity play stations, multiplay systems, pearl multi activity play station, kids outdoor multiplay station maps and multi activity play station. We are the leader in playground products, and our company has everything you need to create your dream play space, from surfacing to innovative playground equipment to accessories and a team of designers who can help you customize your area. 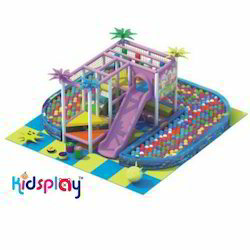 Kidsplayindia Big Playground slide is a perfect toy for your kid. It will keep your kid busy in him/herself. 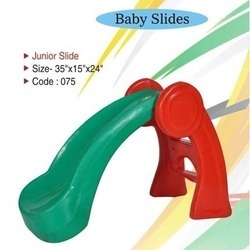 The junior slide comes in attractive colors and characters. 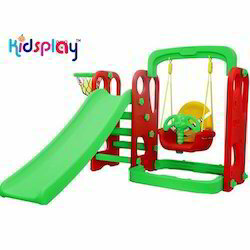 Kidsplayindia Appu playground slide is a perfect toy for your kid. It will keep your kid busy in him/herself. 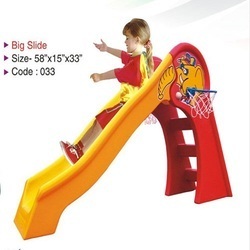 The junior slide comes in attractive colors and characters. Age Group Recommended age: 2 to 6 yrs. 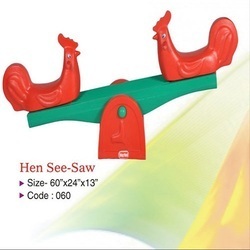 Being a customer focused organization, we are engaged in offering a wide and exotic assortment of Slide. 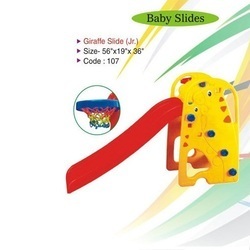 These toddler slides are manufactured using optimum quality raw material, which is procured from the trusted vendors of the market. Moreover, our team members test the entire range of indoor slides on various parameters to ensure its compliance with set industry standards. Recommended age: 2 to 6 yrs. 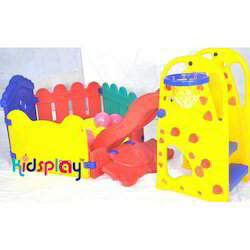 Play area: 56" X 19" X 36"
Kidsplayindia Junior playground slide is a perfect toy for your kid. It will keep your kid busy in him/herself. 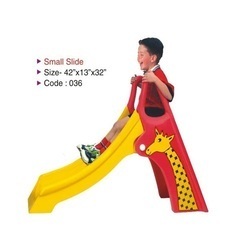 The junior slide comes in attractive colors and characters. 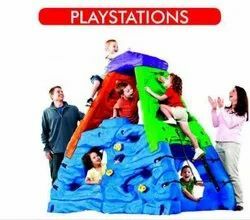 The Kalia Recreations multi play station is designed to create an environment of multi-physical activity and undiluted fun. Children enjoy the use of stamina which builds muscle and the opportunity to develop social relationships with other kids. 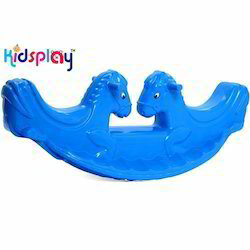 Kidsplayindia super senior slide is a perfect toy for your kid. It will keep your kid busy in him/herself. The junior slide comes in attractive colors and characters. 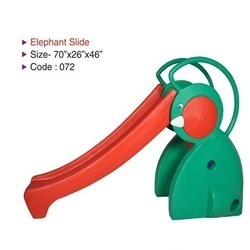 Kidsplayindia Elephant playground slide is a perfect toy for your kid. It will keep your kid busy in him/herself. 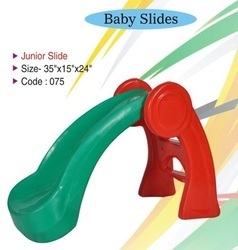 The junior slide comes in attractive colors and characters. Product Dimensions (L x W x H): 42" X 13" X 32"
We specialize in manufacturing an exquisite range of Plastic Rock Boats. 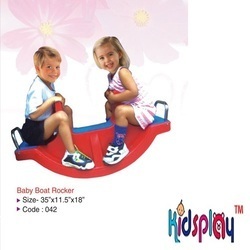 These boats are designed using attractive colors, which attract children. Moreover, clients can avail these boats in various shapes as per their choice. Our team members manufacture these boats using superior quality raw material, which is procured from the trusted vendors of the market. Size - 45" x 63"
We offer to our clients a unique range of Mini Indoor House. These are small houses made for children to play. 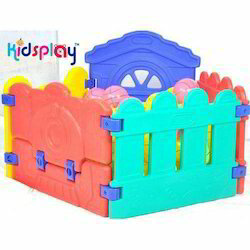 We offer these mini houses in different forms so as to hold the attention of the kids. These are designed keeping in view the interests and likes of the children. Our clients can avail these products at competitive prices as per their needs. Play area: 1.19 mtr. X 1.34 mtr. X 1.47 mtr. 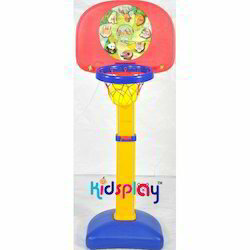 kidsplay are leading manufacturer, supplier and exporter of Indoor Play Station.